This reply refers to the comment available online at https://doi.org/10.1007/s00540-019-02619-3. We are grateful to the authors for the thoughtful comments on our manuscript . We agree with opinion that spinal anesthesia itself could decrease the incidence of catheter-related bladder discomfort (CRBD) postoperatively through residual spinal analgesic effect. 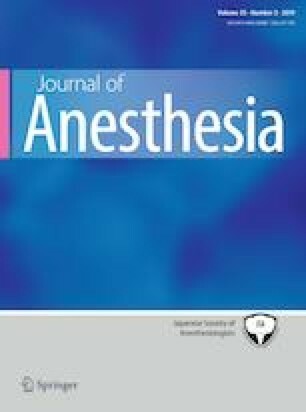 Spinal anesthesia should be preferred to general anesthesia if possible. However, the incidence of CRBD at 24 h after surgery could be up to 84%  and the incidence at 72 h after surgery could still be as high as 48%  after transurethral resection of bladder tumor. This means that the residual analgesic effect of spinal anesthesia could not fully relieve the postoperative CRBD. Network meta-analysis is a useful tool to facilitate estimation of the comparative efficacy and tolerability of multiple interventions even when they have not been investigated head-to-head in randomized trials. Compared to the standard pairwise meta-analysis, the precision of estimate could be increased. In addition, the limitation of our network meta-analysis of small number of studies and heterogeneity of studies should be acknowledged and more well-designed head-to-head randomized trials are required.